Y'all. They killed it with the IT remake. Seriously, I absolutely loved it. I've been a fan of Stephen King literally my entire life. My favorite movie at age three was Pet Semetary - I kid you not. Age 13, one of my favorite books was Desperation. So learning a few years ago they were remaking IT, it was a no-brainer I was going to go see it. Andre's not a fan of horror, so I scooped up my mom and nephew for a trip to the movies. I was pretty sure I'd love it - but you know, sometimes remakes are no bueno. But this remake knocked it out of the park. The only thing I didn't totally love was the new Pennywise. Don't get me wrong, I didn't dislike him. I just prefer Tim Curry as Pennywise. In the original, he was less scary, which I think is pretty imperative. He's luring children in so he shouldn't be a scary clown upfront. Instead, he should be friendly and look like a fun guy. Remake-Pennywise is a little more terrifying from the start, but the good news is he's still a little corny and goofy, which I appreciated. There was so much I loved about the movie, though. I really loved all of The Loser's Club cast. Bev is such a tomboy and portrayed in a much better light, I think. She's the badass of the group and I freaking love that. Richie is insanely hilarious, and I love that they chose Stranger Things' Finn Wolfhard to portray him. Bill's stutter is so believable compared to the original Bill in the 1990 adaptation. I just can't say enough about how well the actors fit into this film. Speaking of Stranger Things, the 2017 adaptation of IT perfectly pulls off the 1980s setting in the era of modern-day and futuristic films. The jokes, costumes, and set are realistic and so spot-on. Something else I loved about the film that a lot of people didn't realize is that this is just part one of the story. The original adaptation was actually a made-for-tv miniseries, which integrated The Loser's Club's stories as both adults and as children. This updated adaptation focuses solely on the stories from their childhood. Part two will showcase their stories as adults. I think separating the stories was a brilliant move on the screenwriter's part, and I can't wait to see part two - which will presumably be released in 2019. I'm so pumped by the movie, Andre and I rewatched the original (and somewhat corny) version of the movie the day after I went and saw the remake. Honestly, I loved it so much, I plan to go see it again. I even picked up the book yesterday. 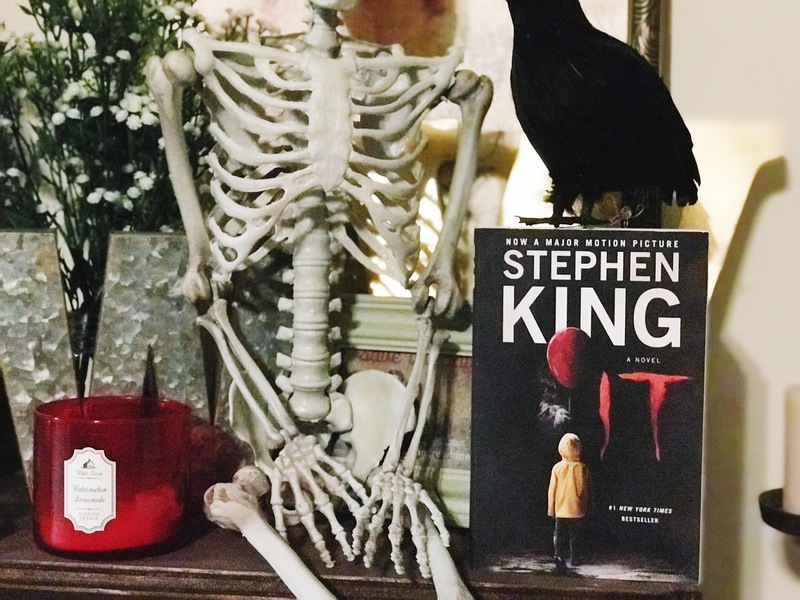 Knowing Stephen King's style, the book can be expected to be even more terrifying than the movie. I can't wait to get reading. If you can't get enough of Stephen King (it is that time of the year, isn't it? ), you can grab his newest novel (for free) by joining Book of the Month now. Or you can stream a variety of film adaptations on Netflix and Hulu. Check out what's currently available below. Other titles are available for rent on Amazon. Chuck and Ethan went to see IT and enjoyed it. I will have to check some of these out on Netflix. Thanks for the suggestions! I hope you find some you like! I really love Stephen King - sometimes the movie adaptations can get a little corny, but they're usually really good nonetheless.